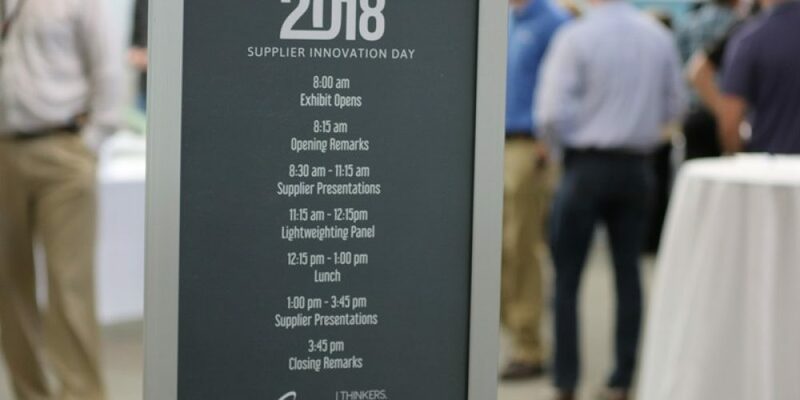 Shape’s Second Annual Supplier Innovation Day | Shape Corp. The event also included a panel discussion on the future of lightweighting. Among the speakers were Edwin Pope, IHS global analyst for lightweighting, Gary Latham, director of design & engineering at Pratt & Miller, judging at Altair Auto lightweighting awards, and Alex Walk, SGL, technical sales manager – Americas. The panel was very well received by all, sparking thoughtful conversations and questions. Thank you to all of our team members who made this year’s Supplier Innovation Day a success.